Last week, in an unfortunate turn of events, Paul “The Irish Dragon” Felder (Renzo Gracie, Philadelphia) was forced out of his scheduled April 18, UFC on Fox 15 fight against Jim Miller at the Prudential Center in Newark, N.J., due to a knee injury. 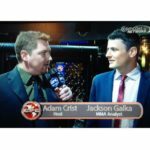 Now, Felder’s manager and Cage Fury Fighting Championships CEO, Robert Haydak, confirmed to MyMMANews.com that “the Irish Dragon” will indeed need surgery. Felder’s stardom was on the rise until this unfortunate knee injury set-back. The Irish Dragon has put the lightweight division on notice upon entering the UFC. 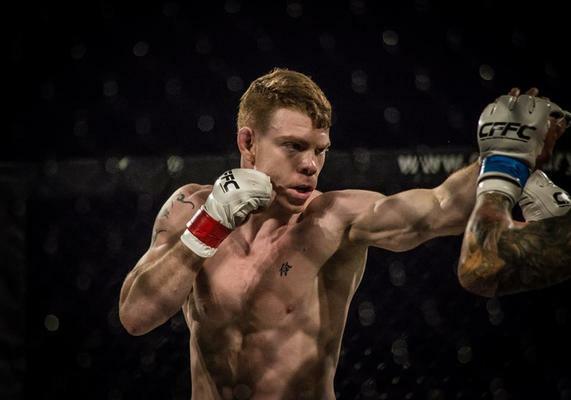 After his spinning heel kick KO heard round the world against Craig Johnson at CFFC 38 which signed and sealed the deal for his entry into the UFC, Felder has been riding high. He sports a 2-0 record taking a split decision against Jason Saggo in Saggo’s own backyard at UFC Fight Night: Macdonald vs Saffiedine in Halifax, Nova Scotia , Canada. Then stepping in on short notice against Danny “Last Call” Castillo and stopping him in the second round via spinning backfist at UFC 182: Jones vs Cormier. A stoppage many are already considering “Knockout of the Year”. Rest assured when he is cleared, and back to training as hard as he always has, Felder will return as good as he ever was, if not better; looking to take out every lightweight in his path. Following the injury notice, Felder was replaced by Beneil Dariush who will now fight Miller.